The SM0822-39 is a solid state GaAs amplifier designed for multi-purpose use in the wireless markets. 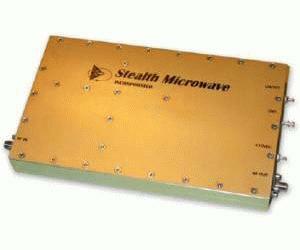 With 1.4 GHz of bandwidth, this small amplifier can be used in most wireless applications. This module provides 45 dB of linear gain, +39 dBm of output power at P1dB, and an OIP3 of +53 dBm. It comes standard in modular form with six (6) thru-holes.